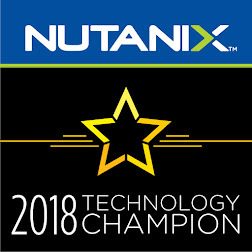 Nutanix Beam provides organizations with deep visibility and rich analytics detailing cloud consumption patterns, along with one-click cost optimization across their cloud environments. 2. Click Add AWS account. 3. Choose your desired name for Beam AWS account. 4. Select the desired app (Cost Governance) to configure. 5. Choose the option as Payer Account. 6. Follow the suggested steps to enable CUR in your AWS Payer Account. 7. You may give write access to Beam to eliminate unused resources. 8. Create Cost Governance Policy on AWS using the JSON editor. 9. Create an account Role on AWS to give access to Beam. Note: Make sure of the account & external ID provided by Beam. 10. Append the current bucket policies on AWS to the billing bucket. 11. Verify the permissions and update the account. To enable the Security compliance feature, you will need to modify the AWS account under the admin page. 1. Click on Configure Now under the Security Compliance. 2. You may give write access to Beam to eliminate unused resources. 3. Create the required Security policy on AWS. 5. Verify the permissions and update the account.